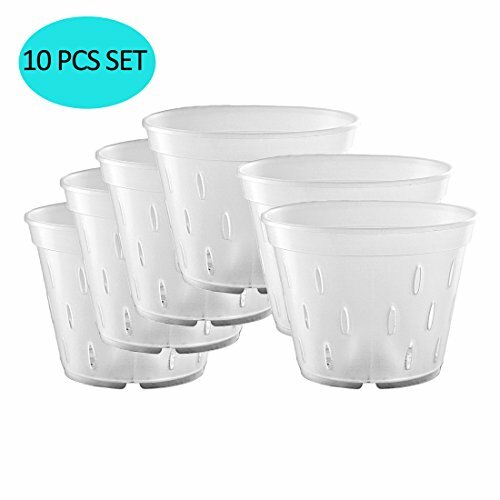 YIKUSH 5.5 inch Orchid Clear Flower Pot Plastic Planter Breathable Slotted-10Pack by YIKUSH at Tulips Orchids. MPN: YK004-5.5 In-10Pack. Hurry! Limited time offer. Offer valid only while supplies last.